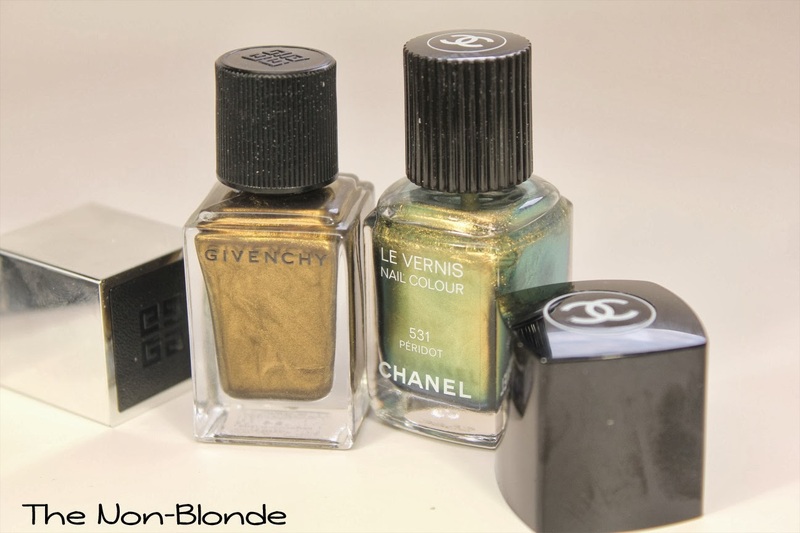 My nail color of choice this holiday season is Givenchy Le Vernis Intense Color Nail Lacque in Bronze Précieux (#14). It's the first Givenchy nail polish I've ever bought, and I'm very happy with it. The formula is smooth and easy to work with it, the polish dries quickly, and the coverage is excellent: I can even get away with one coat if I must, though two coats are perfection. 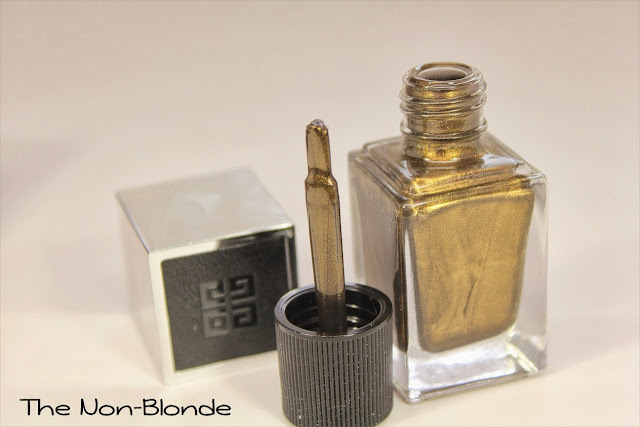 Bronze Précieux 14 is a gorgeous and complex metallic color with a lot of depth. It's almost blackened but not quite and has a molten metal quality that I like very much. I find that the color looks good during the day and is rather stunning for evening without creating too much drama (so it doesn't compete with a sparkly dress). I don't have anything similar in my collection, but at first I was reminded of Chanel Peridot from Fall 2011. When I pulled the bottle out I saw that Peridot has a much greener cast and is not just lighter in color but also in coverage. 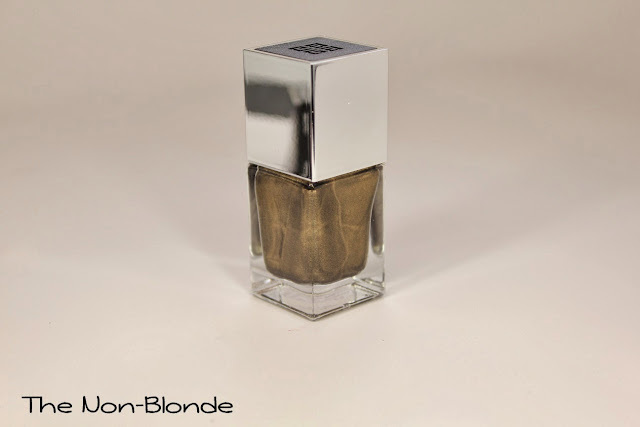 Givenchy Bronze Précieux 14 Le Vernis Intense Color Nail Lacque ($20) is available from Barneys and Sephora. Wow, (really, WOW) that color is seriously gorgeous. I rarely buy nail polish but this one is going on my wishlist!